The Philadelphia Eagles football team players are enjoying a well-deserved rest following their monumental Super Bowl win. But behind the scenes, Joshua Cooley is busy at work on the draft. I’m not talking NFL draft; I am referring to the final draft of his new book The Biggest Win, scheduled to be released July 30th by New Growth Press. The idea for The Biggest Win grew out of a cover story Joshua wrote for the 2017 November/December issue of Bible Study Magazine. The article provided readers an inside look at the theologically rich Christian fellowship found among a group of Eagles’ players. It wasn’t long into the project before Joshua realized he had more material than one article could hold. After contacting New Growth Press, who agreed to publish his book, Joshua discussed the idea with the players. With their help and support, he began work on the larger project. 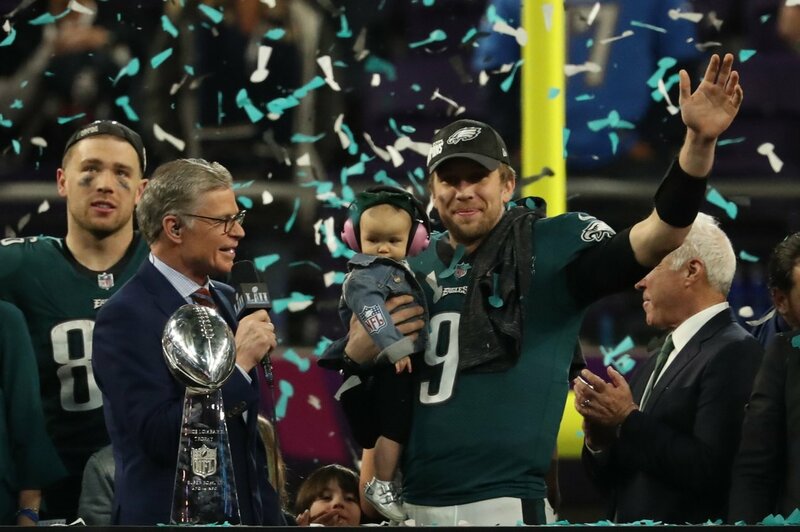 He never imagined the season would end with him watching the men who became his friends hoisting the Lombardi trophy and giving the glory to God. Join me in praying for Joshua as he completes his edits and help me get the word out to tell everyone about The Biggest Win. You’ll want to preorder a book for yourself and get a few extra copies to give away.